Central Vacuums are making a comeback. In the age of the disposable vacuum cleaners many consumers are taking the plunge and having a central vacuum system installed in their homes and even businesses. A portable vacuum that costs $300 and under will provide you with a basic model. Typically, the vacuums will last about 3 years. At this point many need to be replaced or repaired if parts are available. We have noticed significant problems with the construction of portable vacuums compared to years past. 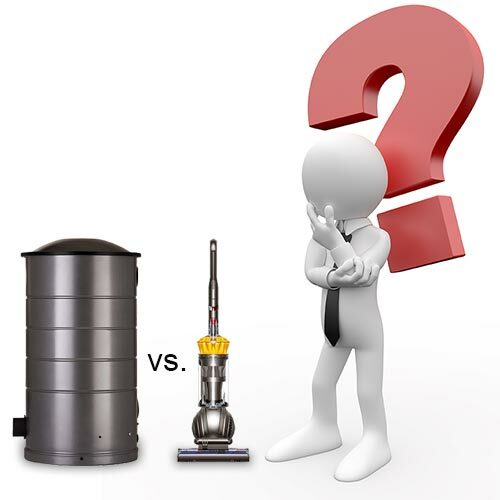 Whether it’s due to cheaper materials or poor design, basic vacuum cleaners are not lasting as long as they use to. A central vacuum system for a 2000 sq. foot home can cost as little as $1400 installed in an existing home or new construction. The cost is greater for the consumer to invest up front but the benefits and long-term costs make it worthwhile. A system can last up to 20 years if properly maintained, there is no heavy vacuum to lug around or cords to trip over and the indoor air quality is better due to the vacuum being exhausted outside the living space. (read our blog on Want better air quality). The motors are more powerful than portable and canister vacuums and the number of accessories which may be added as options are endless. If you have any questions or would like more information, please give our #friendly experts a call at 1-800-533-3249 and they will be happy to assist you. 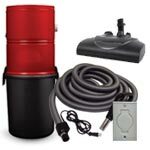 Or visit our Central Vac Wizard to build your own Central Vacuum kit. My wife and I are thinking about getting a central vacuum installed in our home but aren't sure yet. I like that you mention how the indoor air quality will be better too because central vacuums typically are emptied outside. This sounds like a great way to avoid the hassle of emptying a traditional vacuum between each use. Thanks for sharing! Glad you enjoyed the article. If you have any questions or would like to place an order please give us a call at 1-800-533-3249.